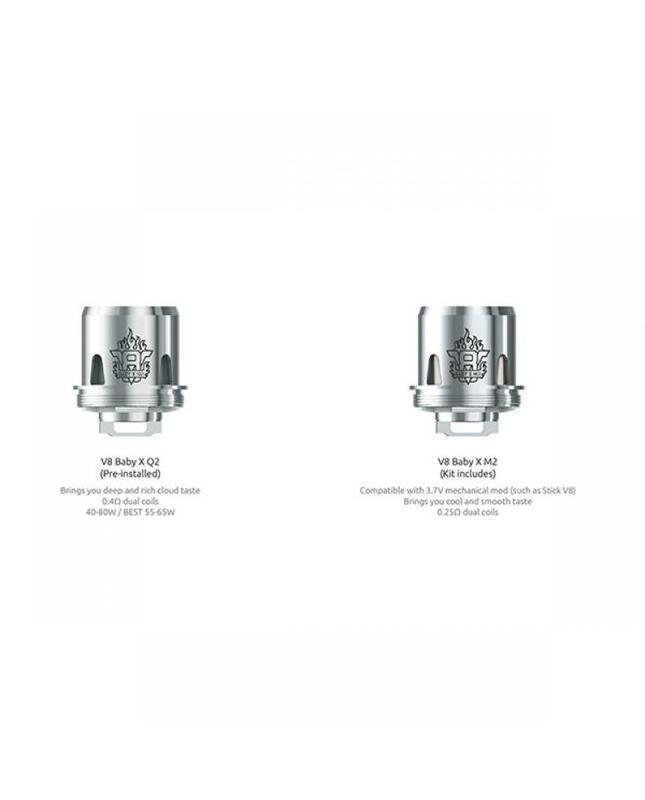 Vape replacement coils for TFV8 X baby beast tank, only $11.9 per pack, 3pcs per pack.vapers can select the 0.4ohm v8 baby x q2 coils and 0.25ohm v8 baby x m2 coils. 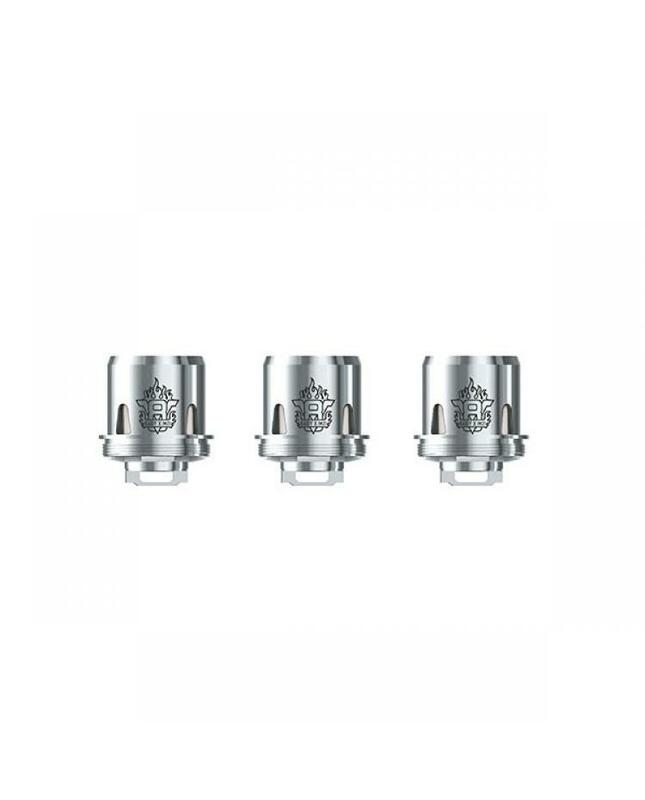 the q2 coils will bring you deep and rich cloud taste, the M2 coil compatible with the 3.7V mechanical mod brings you cool and smooth taste. 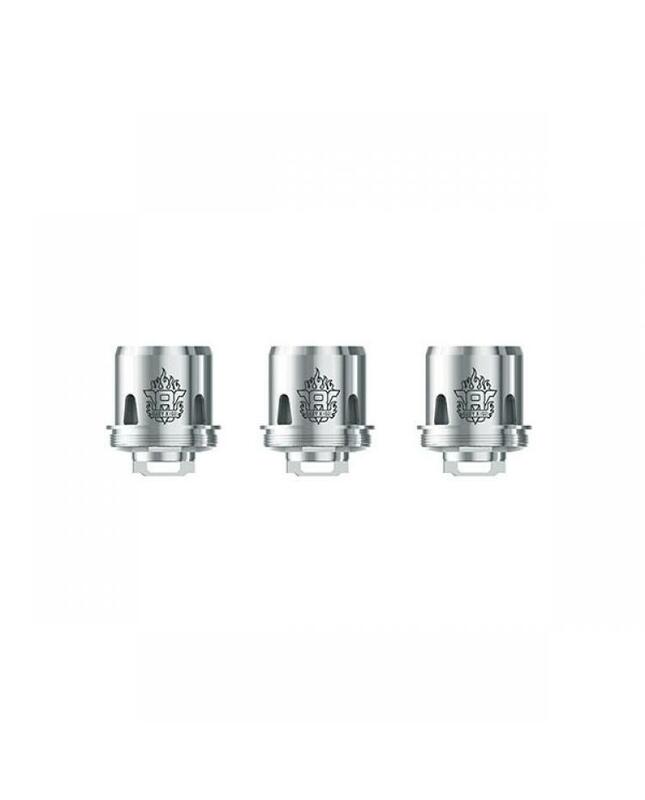 TFV8 X-baby RBA, pre-installed 0.35ohm dual coils, brings smooth taste.